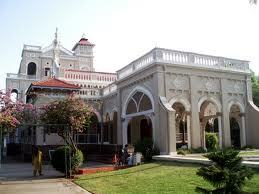 Aga Khan Palace is a majestic building and is considered to be one of the greatest marvels of India. The palace is closely linked to the Indian freedom movement as it served as a prison for Mahatma Gandhi, his wife Kasturba Gandhi, his secretary Mahadev Desai and Sarojini Naidu. 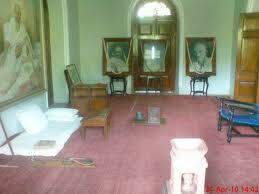 It is also the place were Kasturba Gandhi and Mahadev Desai died. In 2003, Archeological Survey of India (ASI) declared the place as a monument of national importance. Historically, the palace holds great significance. Mahatama Gandhi, his wife Kasturba Gandhi and his secretary Mahadev Desaiwere interned in the palace from 9 August 1942 to 6 May 1944, following the launch of Quit India Movement. Kasturba Gandhi andMahadev Desai died during their captivity period in the palace and have their Samadhis located over there. 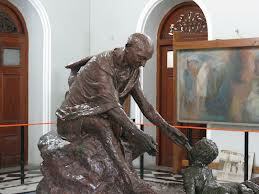 Mahatama Gandhi and Kasturba Gandhi have their memorials located in the same complex, near Mula river. In 1969, Aga Khan Palace was donated to the Indian people by Aga Khan IV as a mark of respect to Gandhi and his philosophy.Today the palace houses a memorial on Gandhi where his ashes were kept. The then prime minister Indira Gandhi had visited the place in 1974 where she allotted a sum of 200,000 (US$3,400) every year, for its maintenance. The amount rose to 1 million(US$17,000) till 1990s, after which the national monument of India, was neglected for many years due to improper allocation of funds. There was a protest held at the statue of Mahatma Gandhi near Pune railway station in July 1999 to protest against the worsening condition of the monument. Coordinates of the location: 18°33′8″N 73°54′8″E. 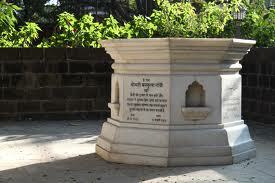 It is located at about 2 km away from Bund Garden in Yerwada, on Pune-Nagar Road. Aga Khan palace has Italian arches and spacious lawns. The building comprises five halls. It covers an area of 19 acres (77,000 m2), out of which 7 acres (28,000 m2) is the built up area. The palace captivates the eye of a spectator with its magnificence and picturesque architecture. It took 5 years and an estimated budget of 1.2 million (US$21,000) to complete this Palace. The area of the ground floor is 1756 sq meters, that of the first floor is 1080 sq meters, whereas the second floor has a construction of 445 sq meters. The speciality of this structure is its corridor of 2.5 meters around the entire building. Prince Karim Aga Khan donated this palace to Gandhi Smarak Samittee in 1972 and since then Parks and Gardens organisation is maintaining it. The palace archives a number of photos and portraits depicting glimpses from the life of Mahatma Gandhi, the father of the nation of India, and other personalities of the Indian freedom struggle. This palace is also the headquarters of the Gandhi National Memorial Society. It also hosts a shop that deals in khaadi and other hand loomed textiles. Other than yearly events, morning prayer sessions are held daily at the samadhi since decades. The prayer draws huge crowds everyday, and the number goes up threefold on 2 October as people visit the place to pay tribute to Mahatma Gandhi.